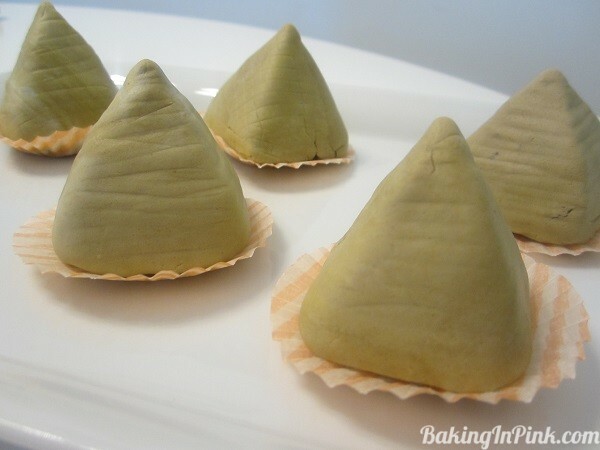 Place margarine, vanilla and half of the powdered sugar in a mixing bowl and beat gradually increasing the speed. Add the remaining powdered sugar and beat until fully incorporated. Combine with the cake crumbs and mix well. 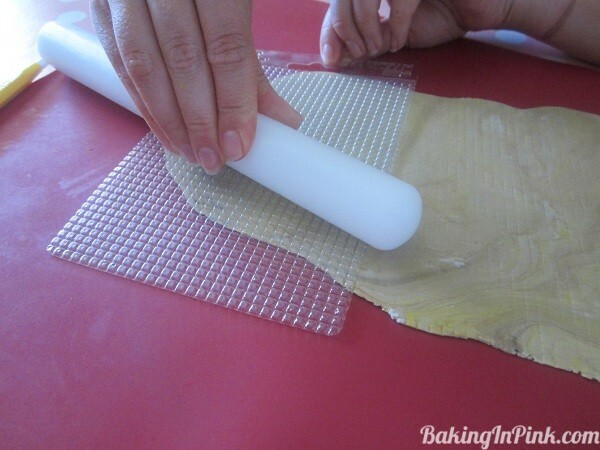 Cover with cling film and place in the refrigerator for 30 minutes. 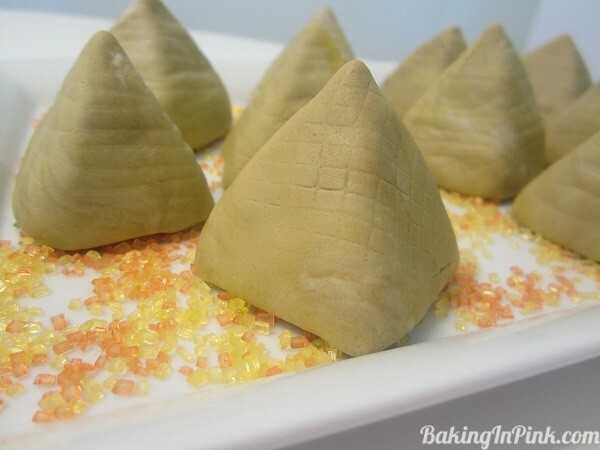 Shape into different height small pyramids. Roll out your sugar paste/fondant. I mixed white, brown and yellow sugar paste to achieve the uneven “sandy” color and gave it some texture using a fondant texture sheet. 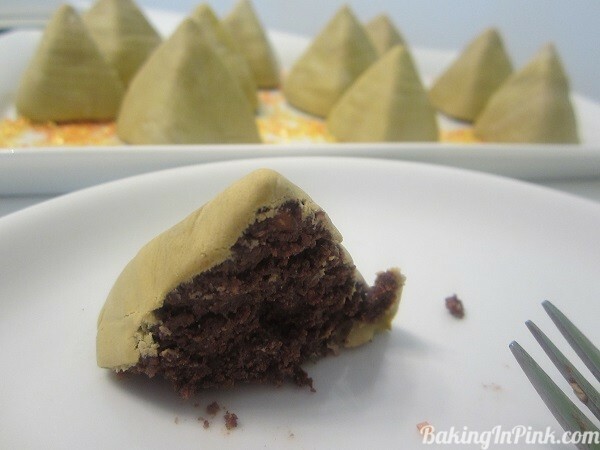 Cover the pyramids with fondant and fold the ends under. 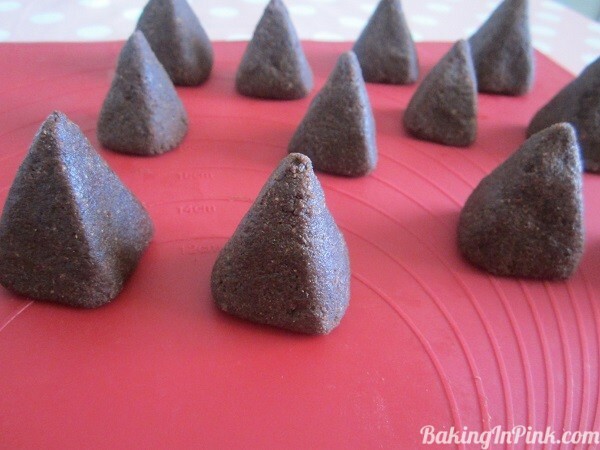 Serve in mini cake cases or on sugar sprinkles.